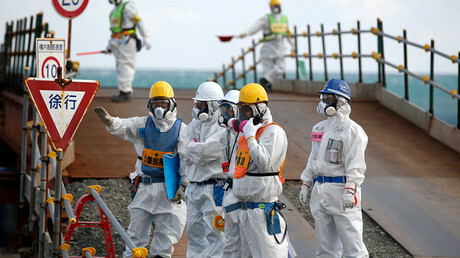 Japan has unveiled a small swimming robot that will inspect the damage at the crippled Fukushima nuclear power plant. The device weights 2kg, is 13cm in diameter and will be able to swim deep into the melted reactor, its developers say. 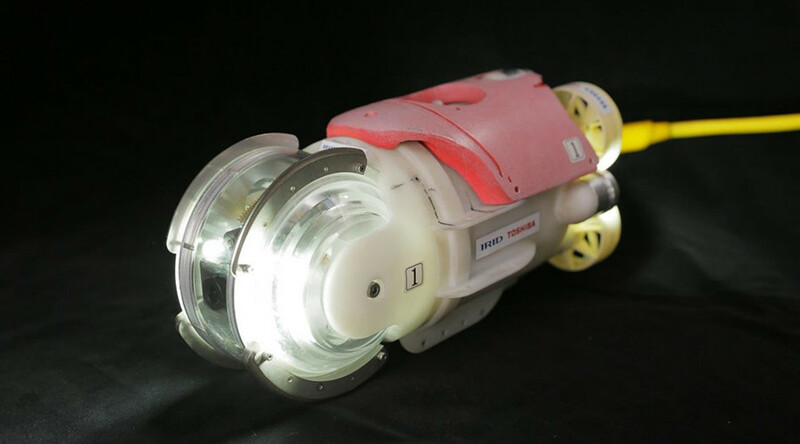 The Japan-based International Research Institute for Nuclear Decommissioning (IRID) unveiled the robot, dubbed ‘mini manbo’ (little sunfish) in the media, together with Toshiba group on Thursday. The robot “is small enough and resilient enough to enter and inspect the damaged primary containment vessel [PCV] of Fukushima Daiichi Nuclear Power Station Unit 3,” a statement from the IRID said, adding that the device will be deployed this summer. The device is equipped with two cameras and can be remotely controlled via a wire, while operators can record its progress through the coolant. ‘Little sunfish’ will deliver a video feed that “will clarify damage to the PCV interior and information on how best to retrieve fuel debris,” the IRID added. The major advantage of the robot is that it “can avoid various obstacles," Tsutomu Takeuchi, a senior manager at the nuclear energy division of Toshiba, told AP. The company is tasked with helping to clean up the damaged plant. The device was created for inspection of the primary containment vessel (PCV) of Unit 3 of the crippled plant. Unit 3 was flooded with coolant to a depth of about 6 meters (20ft) and in order to make a proper clean-up, such a coolant must be located and mapped, according to the IRID. “The penetration hole giving access to the PCV is only 14cm in diameter, limiting the size of any robot that can be deployed,” the IRID added. Thus, the newly-presented robot seems ideal for the job. The robot’s radiation resistance is approximately 200 Sievert (Sv), according to its characteristics. For comparison, an exposure of about 1 sievert can cause biological damage to living tissue, according to the International Atomic Energy Agency (IAEA). “Scientists developed ‘mini manbo’ with the aim of operating in a highly radioactive environment,” Goro Yanase, general manager of Toshiba’s Nuclear Energy Systems & Services Division, said. “We succeeded in developing a small robot with high-level radiation resistance, and through its deployment we expect to get information that will support the advance of decommissioning,” he added. The Fukushima Daiichi nuclear power plant suffered a blackout and subsequent failure of its cooling systems in March 2011, when it was struck by an earthquake and tsunami. Three of the plant's six reactors were hit by meltdowns, making the disaster the worst since the Chernobyl catastrophe in the USSR in 1986. Japanese authorities have repeatedly sent robots to inspect the contained area of the crippled plant but the devices either broke down or the missions were aborted. In February, such an attempt ended in failure as a clean-up robot stopped working two hours after it was sent to the inactive Reactor 2 at the nuclear complex. Following the failure, Naohiro Masuda, president of Fukushima Daiichi Decommissioning, said that more creativity was needed to produce robots that can find and assess the condition of melted fuel rods at the high-level radiation site.